Grant and Joanne Dwyer are welcoming the beautifully bred entire, St Jean (Teofilo) to stand this season at Brackley Park in Avenel. St Jean is a truly international galloper, having been bred and raced in Ireland, appointed a French name, a multiple winner in Australia, a Group winner in New Zealand and now a stallion standing in Victoria. The talented son of Teofilo began his career in Ireland before being purchased by trainer Aaron Purcell and his family to come to Victoria where he won four races including city wins at Caulfield, Sandown and Moonee Valley. 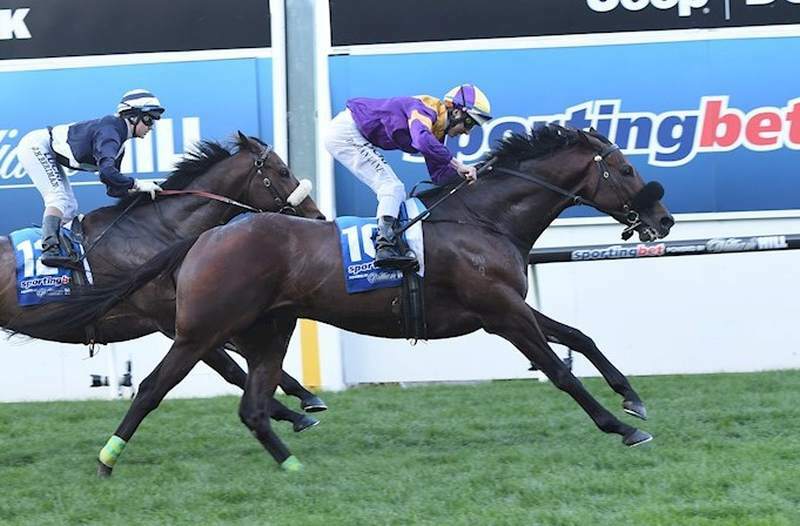 Described by Purcell as being the best he has trained, he was an early favourite for the 2014 Caulfield Cup before straining his tendon after his Valley win. Once fully recovered, he was unable to return to racing for eighteen months when caught up in a medication fiasco, where inconsistent test results were given for the anti-inflammatory, Ibuprofen, due to be an accumulation in the horse’s kidneys. With his racing career placed in jeopardy, Purcell’s only option to race legally was in New Zealand. St Jean crossed the Tasman to join the Donna Logan-Chris Gibbs stable where he recorded a victory in the $200,000 Group 3 City of Auckland Cup over 2400 metres. “It was great to see the owners rewarded for all their patience. He’s very clean-winded and was a real gentleman to have around the stable. The further he had raced, the better would have been. He deserves his chance at stud. He’s got brilliant bloodlines and is a Group 3 winner,” co-trainer Logan said. “Unfortunately we never saw the best of him, as he was a very promising, well respected middle distance stayer and with his pedigree, if he had the chance to win a Group 1, he would definitely be standing at one of the leading studs,” Dwyer said. A six-year-old son of Teofilo, he is out of the stakes winning Marju mare, Oriental Fashion. Beautifully bred with an impressive female line, his third dam the blue-blooded mare, Height of Fashion, was out of the famous producer Highclere. Height of Fashion was raced by her Majesty The Queen, victorious in the UK 1000 Guineas and regarded as one of her best gallopers. Sold to Sheik Mohammed as a broodmare she went on to famously produce the stallion’s Unfuwain, Nashwan and Nayef. His sire, Teofilo has done an excellent job at stud, having a very high ratio of stakes winners to runners. His Australian raced progeny including Group 1 winners Humidor, Kermadec and Palentino. Like St Jean, the latter two are now both at stud. “Although St Jean didn’t get the opportunity to claim a Group 1 victory himself, the strength of his female pedigree will make him stand out,” Dwyer said. Arriving at Brackley Park straight from his staying preparation, the Dwyers are looking forward to him letting down and enjoying a well-deserved break. “He is quite a big horse, with a large chest, an athletic build and very correct. Well handled, he is just a great type of horse,” Dwyer said. Standing in 2017 at $3,300, St Jean is exceptional value for the Victorian owner – breeder demographic. Brackley Park is a family owned and operated thoroughbred horse stud offering a full range of stud services including agistment, broodmare management, weanling and yearling sales preparation. St Jean is standing at Brackley Park this season at $3,300, along with the son of Rock Of Gibraltar, Murtajil at $4,400. Murtajil had a purple patch of winners over this past weekend with no less than six victors across Australian racetracks. 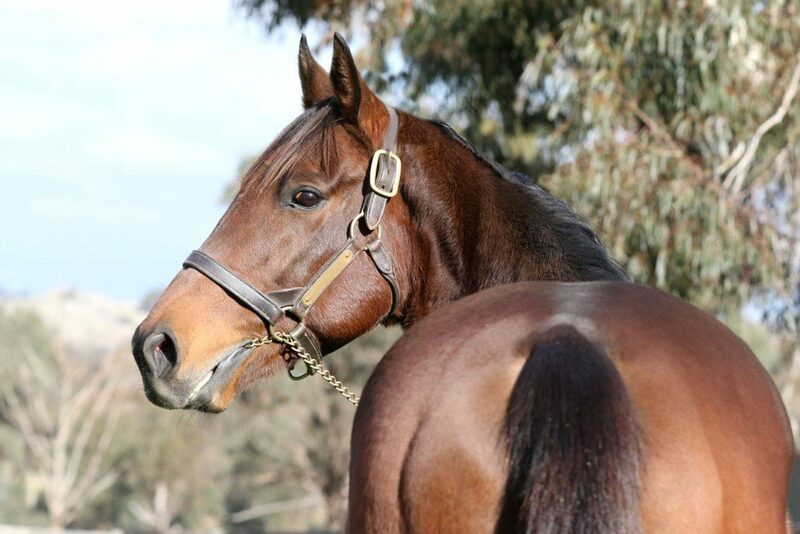 Please contact Grant or Joanne Dwyer on 0412 028 250 for more information on either stallion. EARLIER POST: Oneworld, one star filly for Eurack breeder!